Photographers that would like to be able to control their DSLR or Mirrorless cameras directly from their smartphone, may be interested in a new device which has been created by Kris Cheng called the Pulse. Pulse is a small receiver that is connected to your camera’s USB port and transmits a wireless signal back to a companion application which is loaded on your smartphone device. Pulse uses Bluetooth connectivity to connect to either iOS or Android smartphones and tablets and is compatible with over 60 types of different camera at the current time. It’s on board rechargeable battery is capable of providing over 24 hours of use from a single charge. Making it easy to create time-lapse footage and more. Watch the video below to learn more about the Pulse wireless camera control system which is taken to Kickstarter and already raised over $180,000 with still 28 days remaining on the campaign. Pulse is the most powerful way to control your camera from your smartphone. Pulse plugs into your DSLR or Mirrorless camera’s USB port, so whether you’re shooting photos, time lapse, or video, you get complete creative freedom – remotely from your smartphone – with your current camera. Pulse’s strength comes from its 100′ bluetooth low energy radio, advanced USB control software, and a beautifully designed interface. 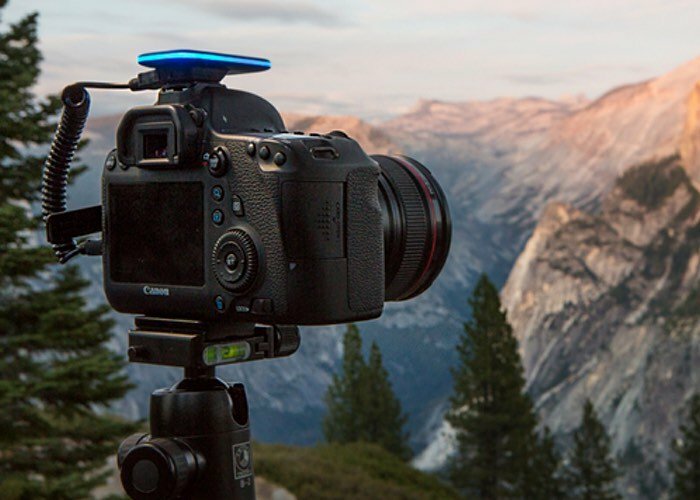 We wanted a product that could handle your biggest project ideas – from day-long time lapses to your next backpacking trip. Because of its size you can take Pulse anywhere, and thanks to what it can do you’ll never want to leave it behind. With image preview you can view thumbnails on your phone right after you take a photo, at a range of up to 100 feet. Whether your camera is sticking out a 5th floor window or you’re warming up while it braves the cold, Pulse has you covered so you can still get the perfect shot. Pulse is now available to back via the Kickstarter website with pledges starting from $69.